Paul Durand-Ruel (detail; 1910), Pierre-Auguste Renoir. 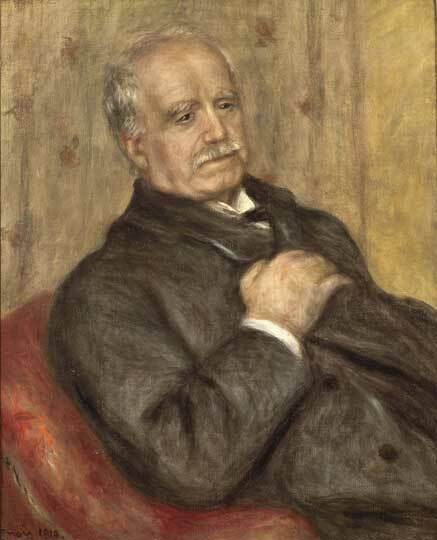 Archives Durand-Ruel © Durand-Ruel & Cie.
A lucky few of us have, with careful planning, been able to see the landmark Impressionist painting show – disguised as the story of the visionary art dealer Paul Durand-Ruel (1831–1922) – at all three of its venues. After all, what’s not to like? It was in Paris first during the city’s perfect season, autumn; it moved on to London when the city’s parks were awash with spring blossom and daffodils; and now it ends in Philadelphia, a city so successfully revived over the past decade that it has become in many ways New York’s own ‘Paris-style weekend escape’ in all seasons but especially the sweltering summer. It is a magnificent show, an assembly from across the world that is unlikely to be achieved again – and it is the largest such gathering since Durand-Ruel’s own show at London’s Grafton Galleries in 1905. Anyone who missed it at Paris or London should hasten to Philadelphia if they can before 13 September. Seeing the show at all three locations has been fascinating. Each local curatorial team has promoted a different theme, which, together with a radically different installation, has to some extent manipulated the visitor and provoked specific audience responses to (almost) the same set of paintings. Before it opened in London, Peter Crack pointed out how the different title of each installation generated specific expectations in the visitor before they even arrived at the show. In Paris, Durand-Ruel was called a gambler, in London an inventor, and in Philadelphia a discoverer. More precisely, the Philadelphia show’s title is ‘Discovering the Impressionists: Paul Durand-Ruel and the New Painting’. Durand-Ruel was personally passionate about the ‘New Painting’ from the moment he met Monet and Pissarro in London in 1870. Back in Paris he met Sisley, Renoir and Degas, who had had no success so far. He became their champion. He gave the impoverished artists stipends, he bought as many of their pictures as he could, whether he had funds or not – in January 1872 he visited Manet’s studio and bought 23 paintings on the spot. 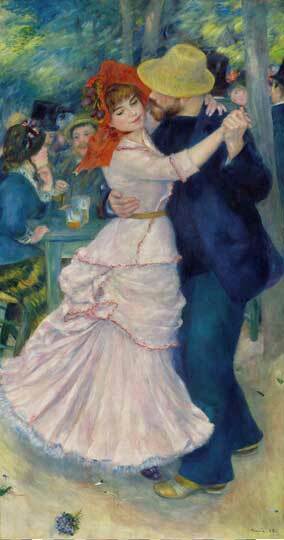 Over his career he bought more than 5000 works by Monet, Pissarro, Sisley, Renoir, Degas, Manet and Mary Cassatt. They sold badly on the whole, even at the great 1905 London show, as revealed in the fascinating stock books still in family’s possession. Durand-Ruel was to an extent saved by enlightened American collectors. So they, too, might be called ‘discoverers’. The Philadelphia Museum of Art plays this story out chronologically room by room, ending with a modest illusion of Durand-Ruel’s grand salon on Rue du Rome towards the end of his life; doors painted by Monet, walls hung with Renoir’s portraits of the dealer’s children. This encourages visitors to head off to other parts of the museum, which display some of the 100 or so objects in the collection that passed through Durand-Ruel’s hands. 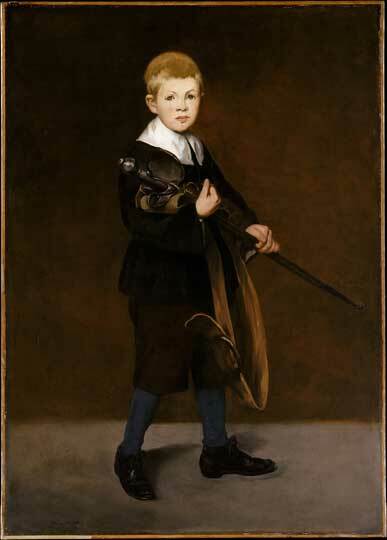 By contrast, Paris’s Musée du Luxembourg kicked off its show with a sumptuous grand salon reconstruction to give the sense of a prosperous dealer, a gambler who did well, while London’s National Gallery left their ‘inventor’ in the background and focused tightly on the paintings. After that dramatic start, Paris offered a pedestrian presentation that failed to ignite Durand-Ruel’s personality. An unimaginative hang with muddled flat lighting did little for the paintings: even a room filled with Durand-Ruel’s Manet studio shopping spree failed to excite as it should, and one even wondered (for a moment) why he had bought them. It was in London, thanks to relatively small exhibition galleries with charcoal-grey walls and scintillating spotlighting, that even the most familiar pictures popped out fresh and luminous, as if the surfaces were still wet from the day’s painting – be it Monet’s The Artist’s Garden in Argenteuil (1873) from the National Gallery of Art in Washington, or Pissarro’s The Crossroads, Pontoise, or Square a the Old Cemetery (1872) from the Carnegie Museum of Art in Pittsburgh. It was very clear why Durand-Ruel was excited by them, despite not being Impressionism’s ‘inventor’. London also achieved an appropriate sense of intimacy for pictures made to hang in private rooms. Philadelphia Museum of Art had a hard act to follow: their Dorrance exhibition galleries are voluminous, high-ceilinged, pale-walled and lack atmosphere. But their iteration of the show got the closest to Durand-Ruel himself, recounting his story through the paintings he bought and sold, chapter by chapter. We see him ‘discovering’ the paintings in London and Paris, then championing the unknown artists and boldly buying up their paintings in quantity. He lays himself on the line with his show of 252 pictures in April 1876 that was derided. He gives Monet his first solo exhibition in 1883 where not one picture sold. Then, the rewards: for 11 days starting on 29 February, 1892 he shows 15 of Monet’s paintings of poplars near Giverny – the trees were scheduled to be chopped down until Monet paid for them to be left standing until he’d finished painting 24 pictures of them. Twelve sold before the opening, the remaining three soon after. Buyers included Chicago collector Potter Palmer, and the show’s proceeds enabled Monet to buy his rented Giverny home and create its garden. Philadelphia exhibits six poplar paintings, one of which Durand-Ruel bought back and kept in his private apartment. And that, after all, is what the exhibition is all about. ‘Discovering the Impressionists: Paul Durand-Ruel and the New Painting’ is at the Philadelphia Museum of Art until 13 September. Paul Durand-Ruel: Gambler, Discoverer or Inventor?